Claiming customer demand has fueled recent network upgrades, Verizon announced it will more than double speeds for FiOS subscribers. This will raise the company's fastest offering from an speedy 150/35 Mbps to an enviable 300/65 Mbps. There is currently no information in regards to pricing, but Verizon CFO Fran Shammo said big red does plan to raise FiOS prices in light of recent upgrades -- we just don't know by how much. Plans on lower tiers of speed will also receive a healthy bump in terms of download umph; however, upload speeds will remain untouched in most cases. Although numbers like that are sure to put a grin on any computer enthusiast's face, Verizon has shown that even higher FiOS speeds may be attainable in the future. Let us hope Verizon's FiOS service continues to remain uncapped. FiOS directly competes with AT&T's U-verse, although in many areas customers don't have a choice between the two. While the speeds FiOS offers are fantastic, coverage does remain limited. 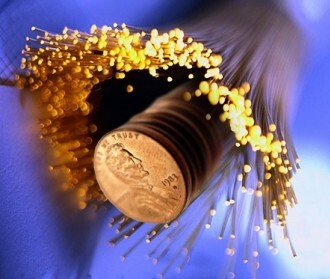 Speaking of fiber networks, Google had also outlined plans to deploy its own 1Gbps fiber network in select cities. Unfortunately, the company's pilot project in Kansas City, Kansas (and let's not forget about the one in Missouri) has been plagued with one delay after another, according to the Kansas City Star.